Every year, a couple of weeks before school starts up again in September, I take an inventory of the year's most interesting / best brand-building communications. The fruits of this inventory find their way into my branding and marketing courses, and sometimes become starting points for my branding research. In most years, the most interesting campaign selections are pretty obvious. Ads/promotions that are supported by massive media buys (think Superbowl ads here), communications that go viral (The Most Interesting Man in the World) or campaigns that become pop culture parodies (Mac vs. PC) are easy to pick up. Sometimes, however, the best communications are more obscure. One of the best examples of this is the Dear Sophie Google ad that I blogged about. 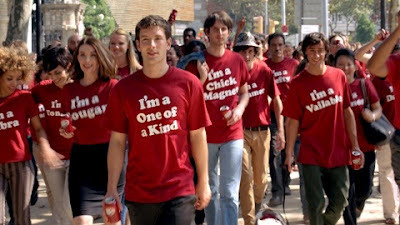 This year, Dr. Pepper's "one of a kind" ad (by DeutschLA) has not received the acclaim it deserves and I think it among the best (and most underrated) advertising efforts of 2012. Dr. Pepper is 5th most popular soft drink brand in the world. Of course, when you are competing against Coke and Pepsi, 5th place is a long way down. Yet, unlike many of its competitors, Dr. Pepper continues to grow (Forbes) even in an hostile growth environment. The soft drink industry is a mature, saturated market and there is a vocal anti-soft drink army of health advocates and regulators who wants to punish soft drink makers in the way that tobacco has been punished. Dr. Pepper is (arguably) the oldest major soft drink brand in the world. As history shows, a lot of its marketing, has not been best-of-class. For example, Dr. Pepper relinquished a first mover advantage to Coke who built a masterful distribution network (blocking competitors out through exclusive deals) and own the "original soft drink" territory of the mind in consumers. Dr. Pepper's old school positioning in the 1930s and 50s was based on the insight that people need an energy kick at 10:30, 2:30 and 4:30. But, the early morning soft drink consumption advocated in their "Drink a Bite to Eat at 10, 2 and 4" campaign was a hard-sell, even back in the days when soft drinks weren't really linked to obesity and diabetes. Ironically, some of the best communication the brand got from advertising was during the 1970s when its iconic "I'm a pepper" campaign was launched. The campy jingle positioned the brand as the brand for the unique individual. Unfortunately for Dr. Pepper, the cola wars were in atomic mode at the time, and Coke and Pepsi spent fortunes brand building, leaving a lot less upside for Dr. Pepper. Since 2008, Dr. Pepper's communications have positioned the brand as the soft drink that needs to be consumed slowly because it tastes better that way. The messaging tended to play on the name itself "trust me, I'm a doctor" and used endorsers like Dr. J, Dr. Dre, and "Dr. Love" Gene Simmons. The execution of these ads is pretty good, but it is not obvious how this positioning would uniquely capture the imagination of the target consumers. Even more questionable is why Dr. Pepper would launch uninspired flash mob social media that positioned the brand as a retro, quirky brand. See the "what were they thinking" attempt at social media marketing here: "2010 flash mob" at the NYSE." Then, earlier this year, Dr. Pepper launched their anthemic ad One of a Kind . Dr. Pepper is authentic individualism. It is is the brand that encourages my originality, dreams, quirks, ambitions, and way of life. It is the brand that calls me to be confidently authentic without pretenses. In fact, Dr. Pepper embraces and celebrates who I am - and I can confidently let the world know that I am me. I am one of a kind. When I do this, I will find myself in a community of real people- the community of Dr. Pepper. The ad shows us just who is in the Dr. Pepper community. Some people in the community are funny (I'm a cougar, I'm a wingman, I'm a valiable), some are inspirational (I'm a fighter, I'm a highlight), some are endearing (I'm a one and only), some have their hearts close to home (I'm a momma's boy) and some are regular folks (I'm a libra, I'm a lefty). 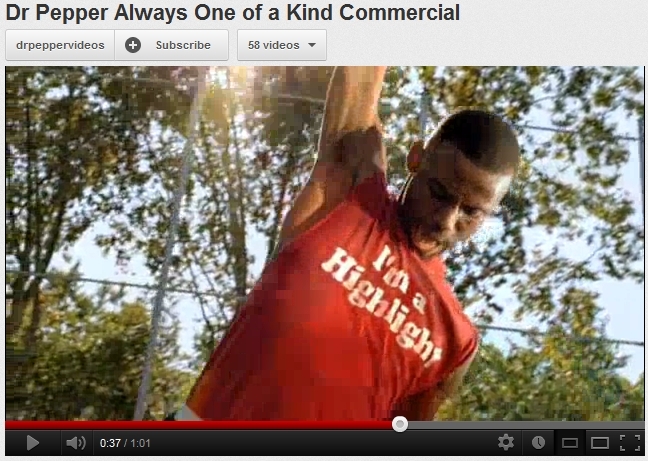 Most likely, every one watching can relate to someone's shirt in the ad, somehow. 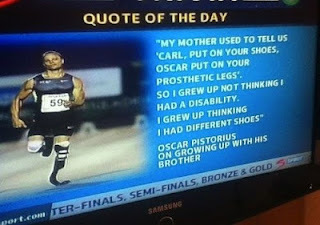 The connections are very emotional. This positioning is brilliant. It leverages the brand equity heritage of "I'm a pepper". This mindset is favorable and unique to Dr. Pepper and can not be owned by any other soft drink brand. By its very nature, the positioning knocks the biggest players (Coke and Pepsi) and alerts us to the conformity that these brands impose. Watch the Coke ads. There is a harmony and a universality that is orchestrated by Coca-Cola's version of happiness. The same logic applies for Pepsi, which "imposes" a mass pop-culture acceptance to the brand. It is interesting to note that other brands have endowed their brands with the value of individualism. These brands tend to be tier 2 brands. Apple (in the 1980s-90s) comes to mind (Check out the classic 1984 ad). Polaroid pursued this positioning with Lady Gaga's endorsement. There are nuanced differences among the "individualism" that Apple, Polaroid, and Dr. Pepper possess. Apple's individualism was rooted in challenging the status quo. Polaroid's individualism relates to artistic expression. Dr. Pepper's individualism involves to personal authenticity. And that authenticity is normal, beautiful, and pure. One of a kind. Just like the taste of Dr. Pepper. The song "I've gotta be me" was originally written and sung by Sammy Davis Jr.